The immutable and unyielding nature of Murphy's law pretty much guarantees that you're going to need a locksmith at the most inconvenient times. 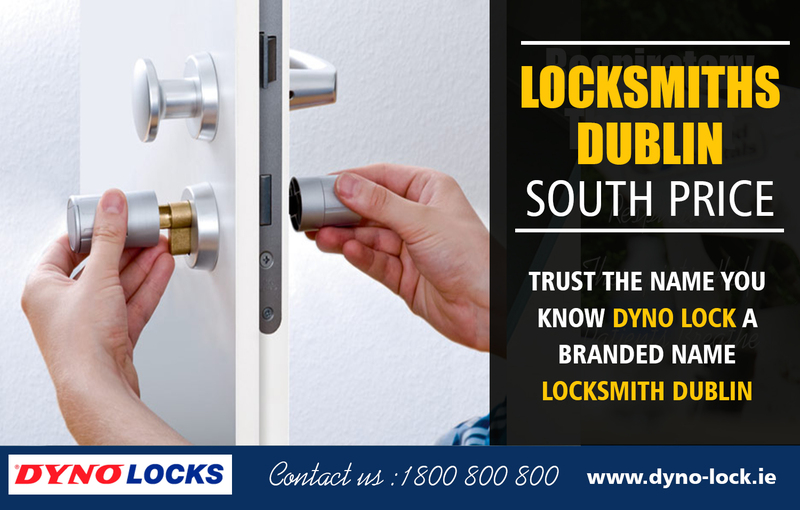 More often than not, you'll find that locksmith Near North & South Dublin Area receives more calls of distress than they do calm, collected calls related to a simple query. You might be locked out of your car in the middle of the night or you might have broken off the key in the door to your home. Perhaps you need to change the locks on your house or office after a burglary. The reasons for needing a locksmith are numerous and varied - and frankly, they don't really matter. Irrespective of your reasons, you need to choose a qualified locksmith with a good reputation and professional attitude. To avoid a "fly-by-night" type of locksmith, look for a company that offers a wide range of services. This is probably the best indication of the fact that they're worth their salt and can handle a variety of different situations. A qualified locksmithing professional will be well-versed in everything from commercial and automotive services, to residential and high-end services. This one speaks for itself, really. Nothing is quite as unsettling as a locksmith without a local, physical address. Whether you believe it or not, locksmithing scams are actually a thing and it's not something you want to deal with on top of everything else.Inevitably, you'll end up searching for a locksmith online. More than a few listings will give off the impression that they're based in your local area yet whenyou ring them up, you'll find yourself being routed to a call center in some distant location. At this point, you'll probably be unlucky enough to find yourself on the phone with untrained personnel who can't answer the simplest questions related to price or timing. It's at this point that you'll feel pressured into letting them dispatch a professional and at the end of it all, you're saddled with a hefty call out fee you didn't see coming. Rather than going through this messy schlep, take a few extra minutes to find someone who’s actually based in your local area. It’ll be worth it in the end. A legitimate license is an absolute must. This proves that the locksmith is credible, and has gone through the proper procedures to acquire operating rights in a specific location. Valid licensing further serves to prove that the person in question is highly skilled and trained, and able to handle even the most burdensome job. When you're under the pump, the last thing you need is an additional stress. Hidden fees and unexpectedly high charges are frustrating enough on a normal day; doubly so in a potential emergency situation. A reputable locksmith will provide cost-free estimates for labor and replacement parts. It's also a good idea to check up on the number of years they've been in business, as this is generally a decent indication of their level of expertise as well. Word of mouth goes a long way to determining the reliability of a particular service provider. When searching for a company online, see if you can find any reviews. They definitely won't get to work without your permission or without any indication of the costs involved. This is something you'll want to inquire about before allowing anyone to set to work on your locks. It goes without saying that you should only Tip on how to hire a locksmith with a certain amount of experience. All in all, the best way to choose a professional locksmith is to trust your instincts. If something feels a little off, move on to the next company. If you're comfortable, feel free to ask for a call out. As long as you know what to look for, you’ll be able to find an expert in no time.